UK subscribers to TV and film services like Netflix and Amazon Prime will be able to access their UK library when on holiday within the EU from Sunday 1 April. The EU’s new rules on digital portability means online content providers, like Sky Go, Netflix and Amazon Prime, must allow subscribers access to the content library from their home country. Previously, subscriptions were blocked, or subscribers could only access the content library from the country they were travelling in – not much use if you don’t speak the local language. Music streaming services, like Spotify, and eBook providers, like Amazon are also included in the rules. Users don’t need to do anything to access their libraries when on holiday, as providers should already have recorded a ‘home country’ based on where the subscription was taken out. The rules only extend to paid subscription services, and the BBC has confirmed that the BBC iPlayer won’t be available to UK travellers in the EU. Other music, TV and media services offered for free aren’t bound by the new rules. UK subscribers will only benefit from the new rules up until Brexit. It’s been confirmed that after March 2019 the portability rules will no longer apply to UK subscribers. EU rules introduced last year also mean UK holidaymakers don’t need to worry about inflated roaming charges when streaming their favourite TV show while abroad. Since last June, bundled minutes, texts and, crucially data can be used in the EU for no extra charge. Nor can mobile phone network providers charge you more for using out of bundle minutes, texts or data than you would be charged in the UK. 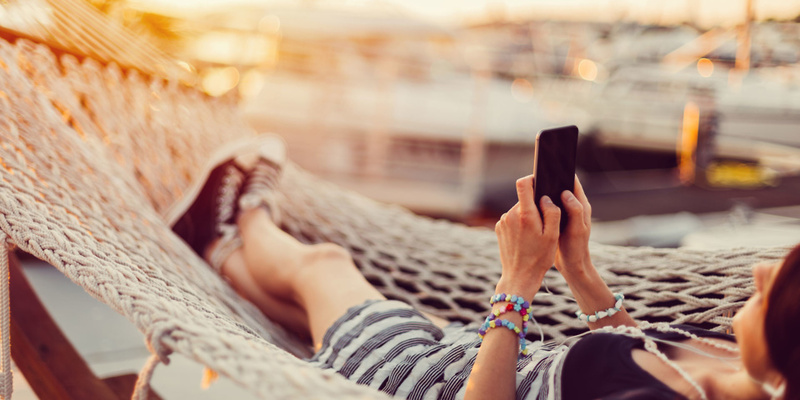 It can still be expensive for data when you go beyond the amount included in your package – see our guide to which mobile providers are best for holidays for more details.